Parallax scrolling is a relatively new trend in web design. With this effect, you can create an illusion of depth on your webpage. Parallax works by making the background of the webpage scroll at a slower speed that the foreground, thus giving the scene a perceived depth. This is similar to the idea that when you are moving, objects nearer to you move at slower speeds- hence, the background appears to be behind the foreground. Charts are used to represent mass data with the help of visual aids. Initially, they were created manually, using calculators to do the math. Then came softwares like MS Excel and charts became an inseparable part of Powerpoint presentations during 1990s. In this decade, with the internet boom, browsers have taken over everything. 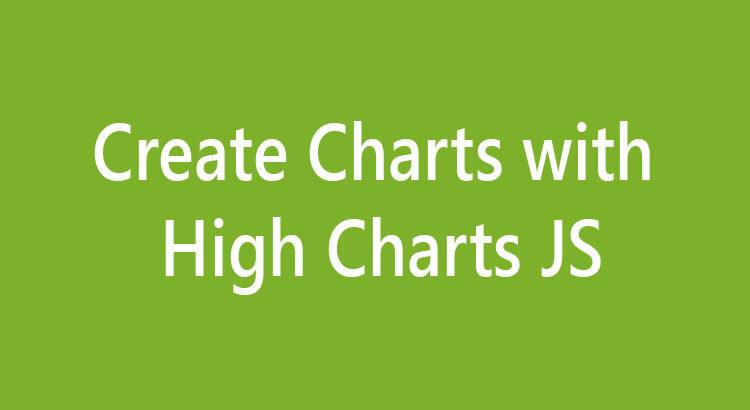 The strengthening CSS3 boosted the math-loving-techies to develop libraries for charts so that one need not switch to heavy software by automating the system of creation of charts using dynamic data from database and visualize it on the browser. The biggest advantage of this was to bring down the requirements to a bare minimum- one just needed a computer connected to the internet and a web browser to view your creations. 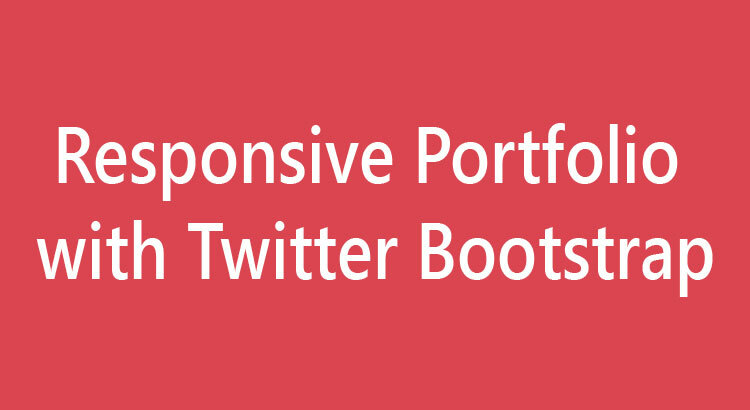 Bootstrap is a frontend framework developed by Twitter for design purposes. Apart from being responsive, it has got different components ranging from grid systems to icons set and hence surely lead the all the other frameworks. Bootstrap is open source and is the most popular repository on GitHub. Today we will make a responsive portfolio using Bootstrap while taking care that it renders smoothly on tablet and mobile devices too. The working demo of this tutorial can be found here. Sticky Headers- Challenges, Considerations and How to create one? Among the many trends in web designing in recent times, you must have noticed that one very important one is having a header which does not disappear when you scroll down. Navigation is very important in a website (there are people who still believe in the three click rule) and a fixed header helps in the same. UX experts have debated whether sticky headers at the top of the page, which are always visible to the user, are the thing to go with, but the end users usually prefer such headers. 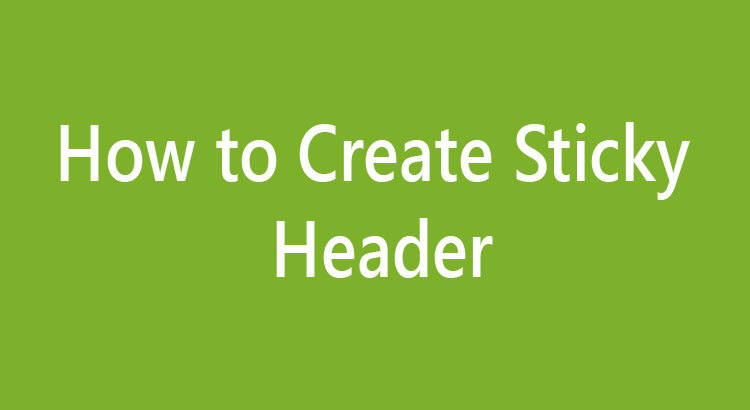 What is a sticky header? 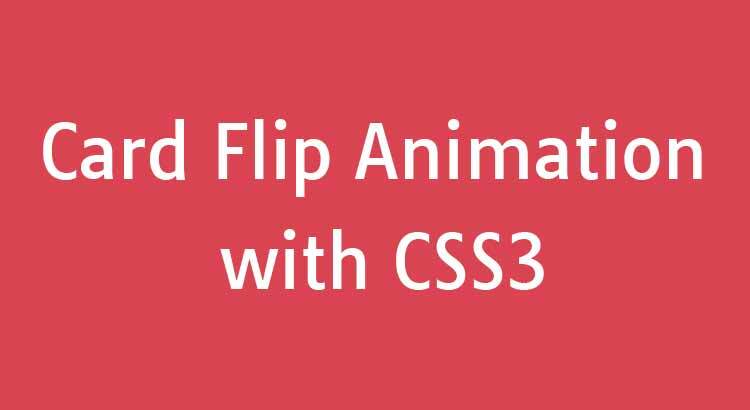 With the introduction of CSS3, one little thing that you could do very well with just a few lines of code was animations. As you might have observed, there are various animations on new websites that have been created with the latest technologies of HTML5 and CSS3. Most of these animations are used to bring real life simulations. In this tutorial we will learn how to create a Stitched Ribbon banner using CSS3 techniques. We will achieve the banner effect without using any images. Before CSS3 the only way to create a banner effect was to use images. Social websites such as Facebook, Twitter, Google+ and others play an important role in marketing and publicity. Providing a social widget simplifies the task for the users visiting the page to share, like or rate your content, therefore helping in publicizing the same. In this post we will create a simple breadcrumb navigation using CSS3. Earlier creation a breadcrumb navigation required the use of images but with advances in CSS it is now possible to achieve the same effect without using any images at all. Here is what we will be creating in this tutorial. Back in the 90s, people used Microsoft Word for writing. It provided a rich text interface with a wide variety of features. As the internet boomed and connectivity speeds soared, online versions took over, which were usually a part of office suites, although a large chunk of people still used offline software. Recently, however, the tides are changing a new format has developed.